The 88-year-old was the resident elephant at the Chengallur Mahadeva Temple in Thiruvananthapuram. 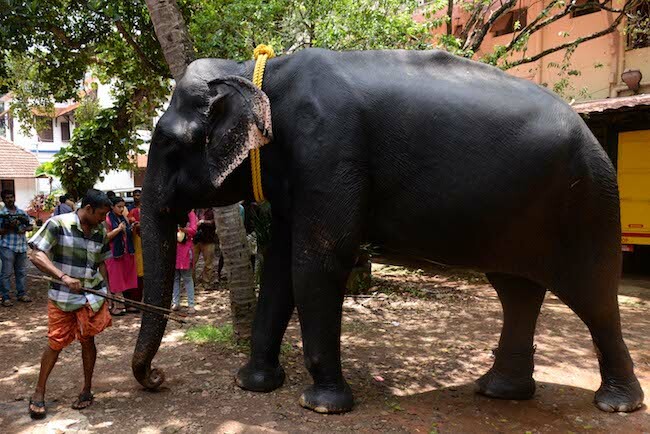 ‘Gaja muthassi’ Dakshayini, the oldest captive elephant in all of Asia who was all set to enter the Guinness world record, passed away on Tuesday. She was 88. 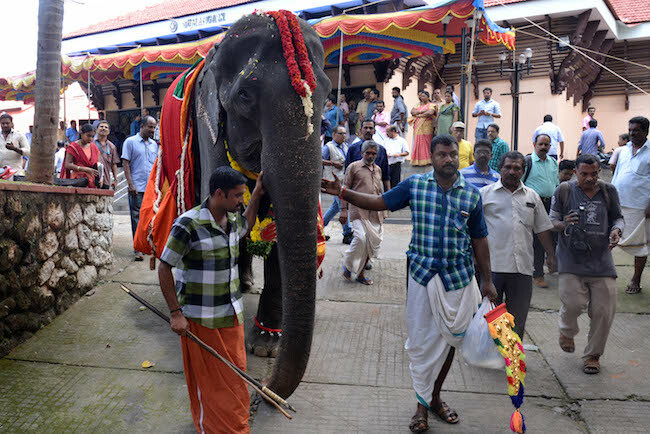 The peaceful pachyderm, as her owners referred to her, has been the resident elephant at the Chengallur Mahadeva temple, which is part of the Travancore Devaswom Board in Thiruvananthapuram, for the last 70 years. Prior to this, she was at the Attingal Thriuvaaratu Kaavu temple in Thiruvananthapuram which was the property of the Travancore Royal family. She passed away due to age related ailments. “She was resting in her shed near the temple when she passed away around 3.30 pm. Her post mortem will happen on Wednesday after which she will be cremated,” Shajin, assistant Devaswom commissioner of the Travancore Devaswom Board told TNM. Three years ago, Dakshayini entered the United Record Forum (URF) which is one step below Guiness, for being the oldest elephant in Asia. “There was one more elephant in Thailand who was 83 who came second after her. Elephants have the same lifespan as humans. Some male elephants can live up to 120. But Dakshayini has been the oldest in captivity for a while,” he said. Following her URF title, the jumbo also got her ‘Gaja Muthassi’ or Granny elephant title from the Devaswom Board authorities. For the longest time, Dakshayini has been the main attraction at the temple festival in the Shankhamukam Devi temple where she would be brought every year. She also carried the idol of the Devi or goddess on her back on the first day of the festival, which sparked debates about how she should be allowed to retire from actively participating in temple festivals. Dakshayini was fondly known as Dakshu by her mahout and was a well mannered elephant who rarely had any tantrums, the TDB authorities recall.